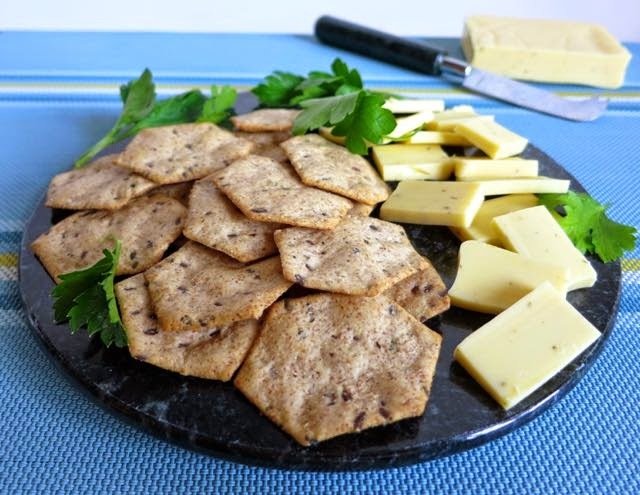 Way Better Snacks, the makers of those fantastic chips we all know and love, are now making crackers! But, not just any crackers -- healthy crackers, of course. 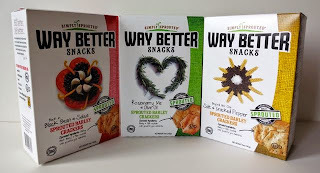 Way Better is all about sprouting - they will sprout a seed, bean, or grain in every snack they make. Sprouting naturally unlocks the protective layer around each seed, bean, and grain, that makes their nutrients easier to digest and absorb. 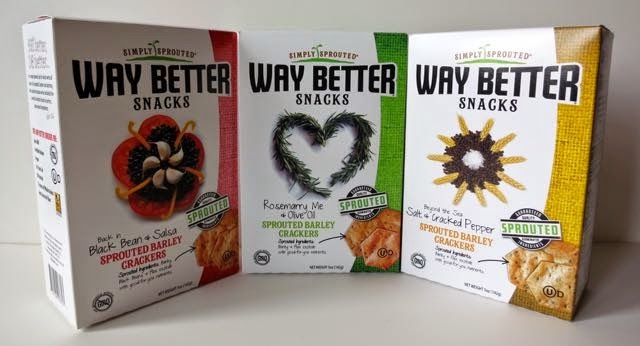 Their new Sprouted Barley Crackers come in four flavors and three of them are vegan - yay! Barley has the highest amount of fiber of any grain because the fiber in barley permeates the entire grain not just the outer layer. Barley is rich in antioxidants, vitamins, and minerals that are essential to health. My favorite flavor is the Rosemarry Me & Olive Oil. These crackers are made with sprouted barley flour, spelt flour and farro flour and seasoned with olive oil and a seasoning mix that includes rosemary, tapioca starch, sprouted flax, and baking soda. That's it! They are super crunchy, salty, and full of rosemary flavor. You will find that these crackers are heartier than your typical cracker because of all the grains! I paired them with Field Roast's new vegan Chao cheese for a complimentary duo. Next up are the Beyond the Sea Salt & Cracked Pepper crackers. These are also exceptionally good. I think there is more salt than there is pepper and again - nice crunch and hearty flavor. I served them with Follow Your Heart's new vegan Garden Herb cheese and when Chris tried them he said, "Where can I get some of this Way Better...and is this real cheese??" Yeah, they are both that good. Lastly, I had the Back in Black Bean and Salsa (cute names, right?) flavor. 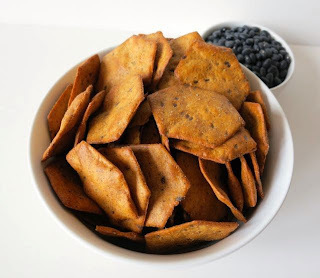 The combination of grains and beans may have been a bit too much in these crackers as they just seemed a bit too dry and didn't have enough flavor to keep me interested. Oh, well, two out of three isn't bad! Since they are a new product, they are currently obtaining Non-GMO Project Verification flavor by flavor and so far two out of four of them have been verified. I love their commitment to ensuring their products are non-GMO. I also love that they sprout some of their grains, seeds, and beans. When I asked why they don't sprout all of them in each box, they told me it would be cost prohibitive. Instead of retailing for $3.99 per box, they'd be $9 per box and would never sell! So, to keep the cost down, at least one grain, seed, or bean is sprouted, but not all. These new crackers are slowly making their way around the country and are available in many stores nationwide including Whole Foods. If you can't wait, they can be found on Way Better's website here for purchase online. 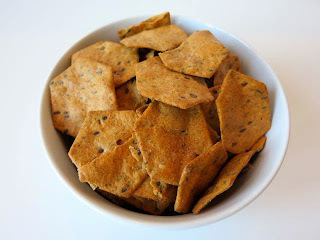 Try these crackers and let me know if you think they are Way Better too!